On the eve of summer vacation, I write to you on behalf of the entire Bar, Executive Committee and myself, to wish you a very enjoyable and relaxing time. 1. 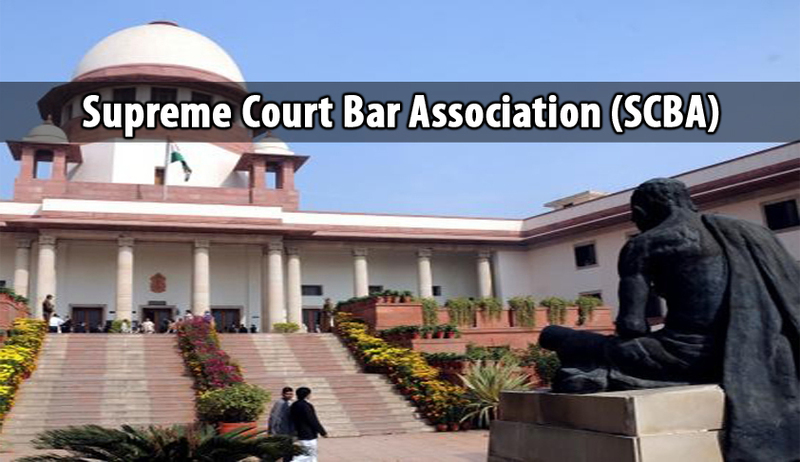 As you are aware Sir, SCBA, although has over 12000 Members and 1700 Voting Members, and almost 2000 Members, who actively practice before this Hon’ble Court and visit the premises during the week. Unlike every other Court in the Country, be it Trial Court, High Court or any Tribunal, the Supreme Court does not have in its premises, a place for Members of the Bar which can be truly identified as Bar Room. My Lord is fully award of the need of such a place, to allow the Members to step aside from a very hectic workload; to introspect, rest, interact and even gossip. The Bar Rooms are most vibrant spaces of every court premises in the country. Over the last six decades, this issue has not been attended to, either by the Bar or the Bench. Sir, in you, the Bar pins its aspirations for resolution of this extremely crucial and demanding issue. The construction of the additional space within the Supreme Court premises, behind Court Room Nos. 6-14 is almost over. This will provide, on guess work basis, over 50,000 sq.fts of area, which we believe is to be utilized entirely for the Registry purposes. Sir, I would sincerely appeal to you, on behalf of the Bar, that upon occupation of this new space by Registry, a big space of approximately 2000-3000 sq.fts may be carved out from the main building of the Supreme Court for being converted into a well needed Bar Room. I would urge you to kindly keep this issue in mind before irreversible decisions are taken, as in the past, I must confess that in the infrastructure issues relating to Supreme Court complex, Bar has had very little say or even more than say, it is not even consulted. The Pragati Maidan Complex of the Supreme Court is a classic example, as I mentioned during our meeting that Bar has not been associated with the designs of complex including chamber block. Sir, I am sure you will also find this undesirable. Incidentally, I may also bring to your kind attention that a substantial space, which we believe is over 3000 sq.fts, stands vacated after dispensation of printed cause lists and is lying vacant in an area which was earlier used for cyclostyling and printing purposes in the main complex next to Copying Section (near C-Gate). Though this space would not be conductive and efficient to create a Bar Room, this space can also be utilized by the Registry and could come in handy to carve out a convenient space in the main building nearer to the court rooms by some adjustments. 2. Sir, one of the issues that you had very rightly pointed out during our last meeting, was the problem on account of frequent adjournments. After our discussion, Ld. Secretary General was kind enough to sent a letter giving necessary statistics of adjournments between January to March this year. I have also heard My Lord in open court, referring to this acute problem, while expressing inability to accede to the Members every morning, seeking out of turn or urgent hearing during Mentioning. To obviate this problem, I may suggest, with your permission, that the system of Advance Lists be restored and strengthened, so that listing of all matters is only after first appearing in Advance Lists, which should be circulated two weeks before the actual date of hearings. During this period, till at least one week before date of hearing, those matters where both the sides desire adjournment, could be adjourned on a joint slip being submitted to the concerned Registrar Listing. As a result, many slots may fall vacant and in their place, perhaps, My Lord, may be able to accommodate Ld. Members seeking urgent out of turn hearing, subject, of course, to their request being genuine. 3. Sir, I, once again, invite your kind attention to the unanimous resolution passed by the Executive Committee dated 02.02.2015, a copy of which is enclosed herewith for your kind reference. Sir, the problem of presence of unmanageable number of persons in the court premises, particularly in and out the Court Rooms, including corridors, from amongst lawyers, juniors, clerks and litigants on Mondays and Fridays, is becoming acute day by day. On miscellaneous hearing days, its virtually impossible for anybody to travel between corridors (from Court Room No.1 to 5 and second corridor from Court Room Nos. 6-14) without colliding number of times, with a number of people. I am genuinely apprehensive that someday an incident may take place causing serious or even fatal injury, particularly, to respected elderly Members of the Association or even others. Equally, it is not acceptable to see the plight of women lawyers and litigants in the corridors these days, as all are unnecessarily subjected to such collusions again and again, lowering their dignity. This problem carries on and become very intense when elderly lawyers, lawyers, juniors, clerks and especially women lawyers have to enter the court rooms. Virtually, everyone has to muscle their way into the Court Rooms in a most undignified and unhealthy manner. I would sincerely request you to convene a meeting of representatives of the Executive Committee with My Lord and the Full Court to find just and practical solution. An early decision in this regard would go a long way in obviating the difficulties faced by the one and all, at this side of the bar. have pleaded with you more than once, growth of the Bar is, to a great extent, in the hands of the Bench. The designation of meritorious lawyers is one such power that can truly reward the meritorious, encourage their confidence and enable the Bar to become richer and richer in talent. The present rules are extremely restrictive and their application does not offer level playing field to the Members of the Bar, to achieve their hopes and dreams. This issue also needs serious deliberations by the Bench and the Bar together and I would request that My Lord and the Full Court may be convened at the earliest convenience. While I am on the issue, I must say that there are large number of extremely eminent lawyers, with outstanding professional qualities and character, who have not been recognized by the Bench and who would not even dare to apply for designation fearing rejection. This, Sir, with respects, is creating a rather unhealthy environment and is a matter of serious concern. These distinguished Members are feeling demoralized and neglected. I need not name them, but I am sure, My Lord, you and other Hon’ble Judges have seen these eminent lawyers appearing day in and day out before courts and arguing ably. Perhaps a better mechanism needs to be evolved, in which the Bar also has a role to play, may be at the level of Attorney General or the Executive Committee of the Bar, to address the concerns of the Bar. Sir, I once again extend to you my greetings and wishes to you for a very enjoyable and relaxing vacation, while pondering over the above issues. You may read more of our coverage on SCBA here.